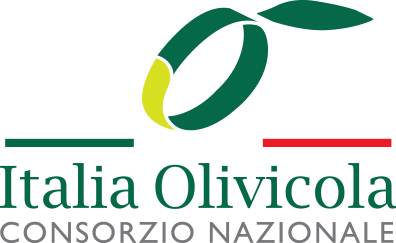 When you look at olive trees there are many fascinating aspects that come to your mind: the idea of the millennial history they carry in their roots and on their branches; the fact that they are surrounded by a golden aura that makes them precious and immortal; that gives them the importance they have and they have had in different European cultures since long time ago. The origin of this tree can be found in the Greek mythology for which it represented an icon of peace and prosperity. As told by the legend, in fact, the tree is due to a competition between two Greek gods: Athena and Poseidon. When Zeus, god of the Olympus, married Metis, he was predicted by Gea and Uranus that one day his wife would have had two children the second of whom would have tried to steal Zeus’s throne. In order to avoid that the prophecy would happen, Zeus, considering that Metis was already pregnant of their first child, ate his wife. (Yes I know this sounds weird but according to Greek mythology, gods had supernatural powers that allowed them to do everything they wanted, especially Zeus, the king of all gods). After many days, Zeus suffered of terrible headaches that were so strong that he couldn’t resist. For this reason, he invited Hephaestus to hit his head with his hammer. After many requests, Hephaestus accepted it and hit Zeus on his head. From Zeus head’s wound came out a big creature - dressed in a shiny armor – and with a javelin in her right hand. That was Athena, the goddess of war. The young goddess immediately showed that she wasn’t just able to make war but she was also very wise and smart: that is why she also became the goddess of reason, art, literature, philosophy, commerce and industry. She was the personification of the wisdom and knowledge behind all the known sciences at that time. As we said, Athena is daughter of Zeus (the strongest of the Gods) and of Metis (the wisest) and from both she inherited their greatest characteristics, so she became, by importance and power, the second divinity of Olympus; the symbol of a perfect and balanced fusion of strength and intelligence. One day, the superb Athena asked to her father, Zeus, to assign her a region of Greece that needed protection. This made Poseidon furious because he was waiting to have a region assigned by Zeus. From here a big and violent conflict arose in order to have the dominance of Attica, a region of Greece. Zeus - who was in a very delicate situation - couldn’t decide so he proclaimed a competition between Poseidon and Athena saying that who would have offered the most useful gift to the region, would have had the supremacy. Additionally he left the other Gods decide which of the two gifts was the best one. When the copetition started, Poseidon with his trident touched the rock under him and a creature, never seen before, came out of it. It was the first horse, symbol of bravery and war strength, which became an important help for human beings since then. On the other hand, Athena, who was standing beside him, hit the ground with her precious javelin and the first olive tree came out, symbol of the prosperity that peace generates. All the gods decided that Athena deserved to win and, accordingly to this, since that day the capital of Attica was named Athens in honor to the patron goddess. From that day on, Athena became the goddess of the city of Athens. Some time later, one of Poseidon's sons tried to uproot the Athena tree, but he injured himself in committing the sacrilegious act and died. So the Athenians decided to build the Acropolis on that point of the city and to have the sacred plant of the olive tree be guarded night and day by the soldiers. It is said that the first olive tree is still standing in front of the Parthenon - which was built by Pericles to honour the Goddess Athena between the 477 and the 432 b. C. - in Athens and that in ancient Greece anyone caught while destroying an olive tree was condemned to death penalty. Since that moment, this magic plant was used for many different reasons from citizens: to cure diseases, to show big achievements (it was offered during the Olympic games to athletes as gift of Gods), to moisturize their skins, to prepare delicious and healthy dishes, to keep their body healthy, to heat them up during winters and, of course, to show wisdom and knowledge. Many centuries later, Romans kept the divine symbolism behind olive trees, which were this time protected by the roman goddess Minerva, goddess of war and wisdom. The same thing happened even when Christians took the power. In fact, in the Christian culture, the olive tree still keeps a spiritual and iconic meaning. It is said that Noah after the Great Flood brought out a dove from the ark and this returned with an olive branch in the beak, a sign that water was retreating and that peace would return to earth. Additionally in the Christian culture, the olive tree is also the symbol of Palm Sunday, which commemorates the triumphal entry into Jerusalem of Jesus, who was welcomed by the crowd that acclaimed him waving branches of olive and palm.